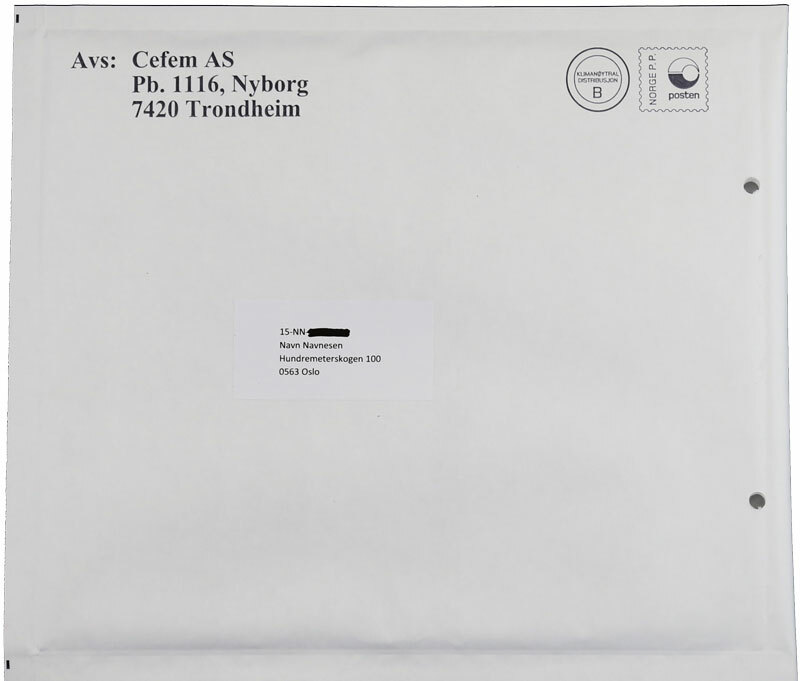 Free condoms delivered straight to your Norwegian mailing address. You only pay for a normal Norwegian text message and receive 15 condoms within 7 days. You simply need to choose your preferred condom type and fill in your contact information. After submitting the form, you confirm your order by replying to the text message you receive. The thin condom is specially designed for increased pleasure without compromising safety. Comes in standard size that fits most men. Contains latex and silicone based lubricant. Width 53mm. The standard condom is the most commonly used condom. Standard thickness and standard size provides optimal safety and enjoyment. The standard condom fits most men. Contains latex and silicone based lubricant. Width 53mm. A condom with strawberry flavour. Comes in standard size that fits most men. Contains latex. Width 53mm. This condom is thicker and stronger than the standard condom. It reduces sensitivity and is therefore suited for men who want to last longer. Comes in standard size that fits most men. Contains latex and silicone based lubricant. Width 53mm. This condom is both longer and wider than the standard condom, and it is the largest condom in the selection. Suitable for men who find the standard size too tight. Contains latex and silicone based lubricant. Width 56mm. Slim-fit is both slimmer and shorter than the standard condom, and it is the smallest condom in the selection. It is suitable for men who want a condom with a slimmer fit. Contains latex and silicone based lubricant. Width 49mm. Some people can have an allergic reaction to latex and cannot use the condoms we send out. School health centres and local health centres for young people can provide you with latex-free condoms free of charge. You can also purchase latex-free condoms at pharmacies and in some grocery stores. The condoms are sent in a discreet padded envelope and delivered within one week of order confirmation. The phone number you use to confirm your order with will be visible on the envelope in the line above your name after the two letters.